Almost everyone we know is hooked to some form of social media, be it Facebook, Instagram, twitter etc. 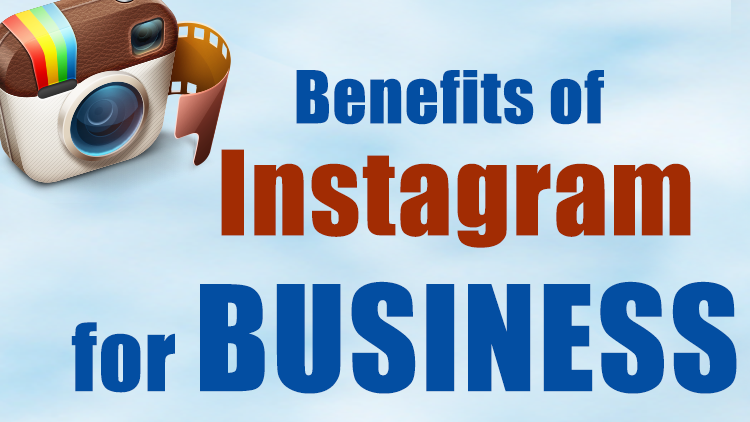 Some are them are more proficient in gaining popularity on these platforms. What if there was a way to monetize your social media popularity. In this century, social media marketing is a huge thing. If you have content, which attracts an audience on social media sites, then there is a way to make money as well. The huge online marketing giants are estimating that as much as 30% of their entire marketing plans will involve social media. There has been a boom in Social Media Jobs in recent times. 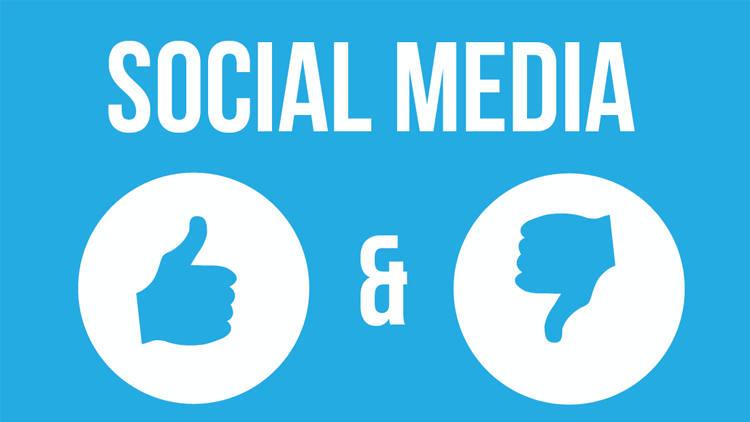 Many companies have designated posts, which pay good money for marketing their products on social media networks. Here lies the first important question for this topic. Social Media is a platform where different individuals, organizations, institutions, governments, and groups interact with each other by exchanging information and content regarding various ideas, topics etc. Apart from personal communication and private or closed groups, mostly everything is made public. Examples of Social media platforms are Facebook, Instagram, Twitter, YouTube, Pinterest, Flickr etc. These platforms have the capacity to circulate ideas, data, information and content and record how the audience feels about them. Therefore, companies can make a fair estimation of which target requires what kind of commodity or service. Targeting specific groups becomes much easier because of such smooth and natural flow of information. If people like it, it circulates rapidly and becomes viral. If not, it is lost in the flow somewhere. Due to the just optimized regulation of content, social media provides a number of career opportunities. Why should anyone opt for this job in India? The fact is, India has one of the highest populations in the world and due to recent technological advancements in the decade, and almost everyone has access to the internet and is present on any one or more social media platforms. Hence, the number of the target audience is more. Many universities and institutions recognize the importance of this career path and its potential in the near future. Institutions such as Digital Floats in Hyderabad are premier institutes that provide training in digital marketing and can help in providing the right kind of guidance required to grab good career in social media. Social Media Jobs provide a balance between passion and profession. When your online presence is very high, you can attract both advertisers and consumers to your page or group. You can always achieve new clients, as the beauty of Social Media is its global reach. Once it is out there for people to see, it is there. If it is circulated through proper mediums, it will definitely reach your target audience. However, you need skills here too to promote your product. Making connections and building relationships with audiences and is an important part of any career in social media. However, in this line of work, the cost to build relationships is practically zero. This makes the product more marketable as the miscellaneous costs decrease by a lot. There are different career options one can opt for, such as Content Organizers, Community Managers, and Social Media Strategists etc. With these designations, you will have to reach out to the people with the knowledge of your commodities and enlighten them with the offers and other attractions you provide. Create a good reputation online with your creative media. It is rather fun to do a job which involves things which we spend hours on, on a daily basis, and earn well from it. Observe the audience’s reaction to the thing you present before them. Social Media Jobs in India has increased by a lot since 2010. You need to assist others to promote their content so that you can promote your product. Social Media Jobs in India Provide freshers with an annual package of 1.5-2.5 lakhs and it can increase, with experience, to 4.5-6 lakh. The popularity of this course is increasing exponentially due to the possibilities and capacity of growth it promises us. Now the next question that needs to be answered is how to make a career in social media. This career involves you to keep your audience engaged in you contents so that in time they may choose to purchase the product/products being promoted simultaneously. 1. Always keep interacting with your audience, your advertisers, your followers and your critics. Keep posting content, which you think they will incline towards and refrain from doing something that the mass audience would dislike. 2. Gather as many followers you can and multiply them on a regular basis. To gain more followers you need to constantly keep up with the demands of your current followers. Keep them hooked to your content. Keep up with their discussions that the make in the comments section. Show your gratitude to the people who appreciate your content and learn from healthy criticism. 3. Be the trendsetter. Try to come up with new and innovative contents, which please the crowd. The current example is of the picturized thoughts also called ‘memes’. It is only a matter of hours before something funny and trendsetting, such as a new meme becomes viral and is then used by people all over the world. 4. Create something unique. Create something, which turns out to be entirely you. Something which when people see, refer to you as the creator or pioneer of such an idea or content. Create a brand for yourself. This will definitely attract various companies, which look for such innovative talent in people. 5.Post what you love the most. When you do this, your content becomes better since you can be the judge of how good you are and how good your creation is. Once you love something, you would not want to do it in a substandard manner. 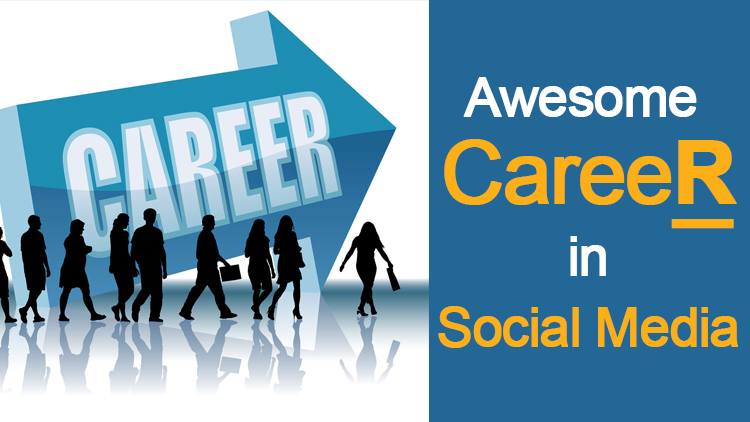 There are many posts available for a career in social marketing. The course does offer a number of subjects to learn from. 2. Surveying the latest trends globally and nationally. 3. Learning about the stories of success of Social Media. 4. How to build large Facebook communities. • Getting yourself accustomed to various Facebook brands. • Getting to know how to engage people and why it is the key to success. • How to create a marketing strategy on Facebook. • How to increase popularity and expand the fan base. • How to make a Facebook Brand Ambassador. • How to create communities and advertise to them. • How twitter works in Plain English. • How Hashtags, Trends, and Lists work. • How to use tools such as TweetDeck, PeerIndex, and Klout to measure the mindset of users and how they are influenced. • The Basic Framework within which Twitter works and strategies. • How to create Marketing strategies on Twitter. 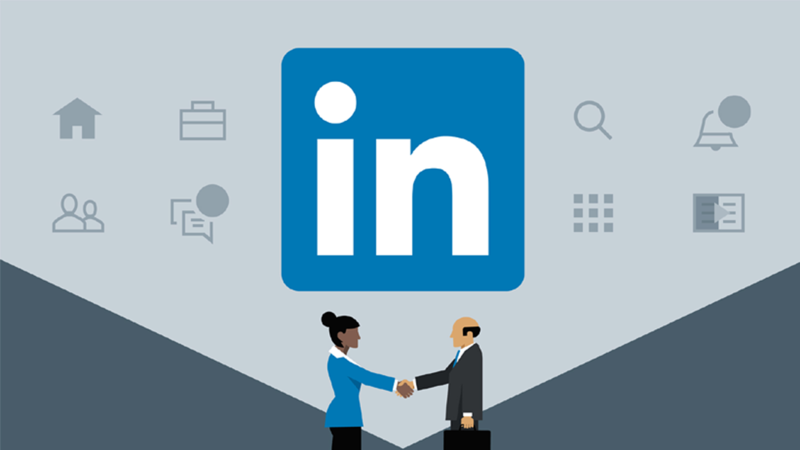 •What is LinkedIn in plain English? • How, from individual profiles, you can lead generations. • How to lead a generation through or as an Enterprise- Ads, Company Page, Groups, Developer API etc. 3- How to function properly in other Social media sites such as google+ and Pinterest. 4- Discussions on how to leverage them. 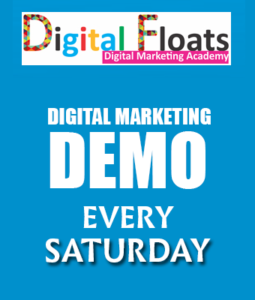 On completion of this course, you can receive a Social Media Marketing certification if you pass from institutes such as Digital Floats, in Hyderabad. 1. 1-V Skills Govt. of India Certification. 3. HubSpot Inbound Marketing Certification. Therefore, to conclude, I must firstly say that Social Media Jobs in India are on the rise. A survey has seen that since 2010, job opening has increased by a tremendous amount of 1357%. More and more openings are seen, as technology seems to reach everywhere. Even Villages have good internet now. Since the Internet is becoming a basic and necessary commodity by the day, people choose to get into these social media sites. Social Media Jobs in India are in fact adapting to the needs and requirement of passionate bloggers and content makers and teaching them the skills and tactics required to market them. If a very good line of work and pays well too. So check out the courses offered by institutes and get yourself enrolled if you find social media fun.